The Ambondro mahabo is a mammal that lived during the middle Jurassic period (167 million years ago) in Madagascar. 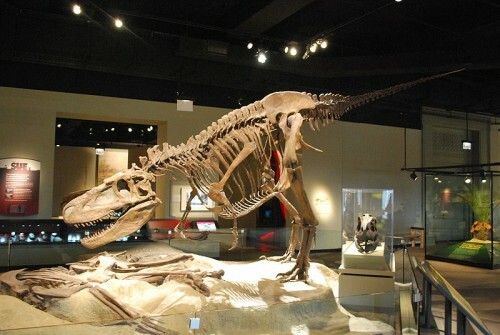 This species is known only from a fragmentary lower jaw skeleton that was first described by a team led by John Flynn in Nature, which was published in 1999. 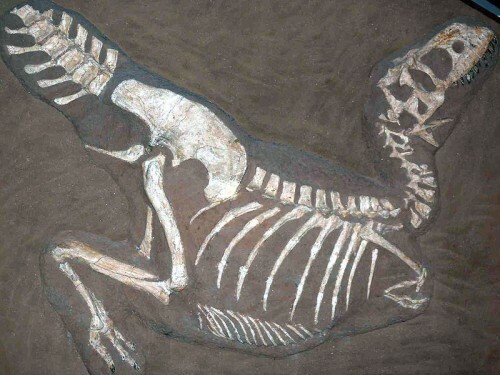 Its name is derived from Ambondromahabo, which was a village close to where the fossil was found. 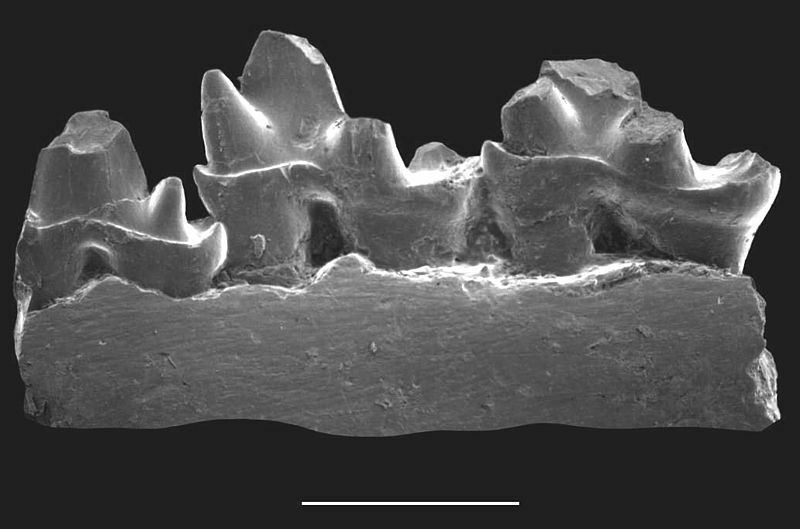 As mentioned above, the Ambondro mahabo is known from the lower jaw fragment that was unearthed. This lower jaw specimen was found with 3 teeth which is thought to be its last premolar plus its first two molars. These features suggest that the Ambondro mahabo had basic molar features that are also present in current day placental and marsupial animals. The oldest known animal with such teeth is 25 million years older than the oldest previously known teeth with this particular teeth arrangement. When it was first described in 1999, the Ambondro mahabo was actually thought to be a primitive relative of marsupial, placentals, and their extinct tribosphenic toothed relatives. However, 3 years later, an alternative suggestion was published that united it with the Auskitribosphenos which was found in the Cretaceous period in Australia, as well as monotremes which are the platypus, echidna, and their extinct relatives. However, the classifications are still undecided.